The word drapery has a very interesting origin behind it. It is said the origin from the Latin word “Drappus”. It was originally used to refer to cloth needed for the purpose of decorating purposes. Thus the word has a British origin while sometimes scholars say that the word might have a Celtic origin as well. Toronto sports a wide range of drapery products that leave the customers spoilt for choice. If you are looking to brighten up the interiors of your rooms, or add an occasional dash of color to lend your house a touch of elegance, then you will be spoilt for choice if you walk into any of the drapery showrooms that are found all over Toronto. These places store different kinds of drapery products with a wide range of colors, designs and what not. There are even motorized high end drapes for the tech savvy. In every establishment, the window plays a major role. How much more in a home? It is the passageway of both the sunlight and the moonlight as well as the breeze. Hence, its part has to be played well. You can decorate it with draperies to add some life to it. Restyling your home windows is such an opportunity that you must work hard on because it will define the new look that you may shed on it. There is no need to worry though because you have a limitless array of choices. 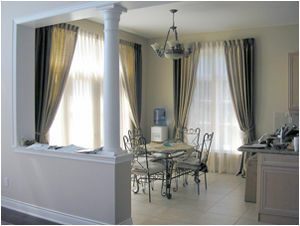 The Helens’s drapery Toronto have so much to provide you with. When we move into a house, the first thing that we do is try to make it into a home. That is, we try to convert a lifeless house into a shelter, a place where we can take refuge in, from the harsh visions of the world which surround us all the time. The people living in a house are the most important factor in deciding whether the house will ultimately turn into a home or not. However, the next element that plays a very important role is the interiors of the house. The way it is decorated plays a big role in influencing or affecting the emotions and moods of the people within. Also, the interiors of a house are always a reflection of its inhabitants. However, all that put aside it is very important that the interiors of a house should be warm and cheerful. This is very the entire issue of drapery and upholstery come in. It is never too late to decide on restyling the interiors of your home. You may always start with your curtains because they do so much for the ambiance. 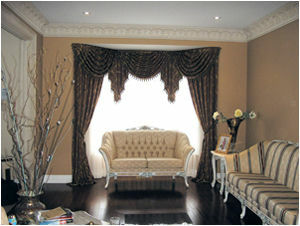 The curtains Toronto stores are the best places to begin your search. You can coordinate with the salesmen for the bestselling fabrics so that you will be assured that you are starting things right. 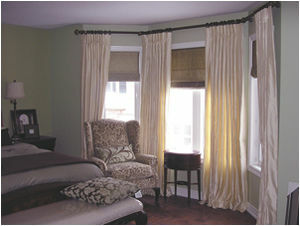 But custom made drapery in Helen’s Drapery is the best way to make you home style. Prior to putting your finger on anything, it is a must to discover everything that you want to use. You may seek the materials from all the stores that you may think of. A little research on the Internet will help along with the personal visits that you have to do to some of the physical stores in your area. Of course the first option will give you more possibilities but if you are just an obsessive compulsive creature, might as well suit yourself by personally seeing and feeling the fabric of your would-be curtains. Have a good plan. That is very much necessary! 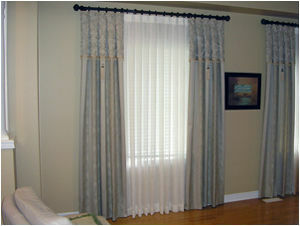 Below are some of the common curtains Torontoheading styles that you might want to consider for your masterpiece. 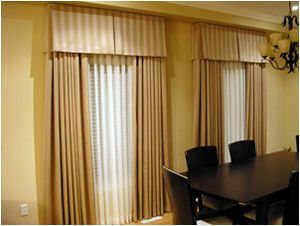 They help you customize and style the valances and binds by means of the use of folds or pleats. The recorded history of interior decoration starts with the Renaissance Era. It was during this time of great change and rebirth in the world of art and architecture that interior design became recognized as a specific art form. The concept of intentionally using one’s interior furnishings as decoration, integrating fabrics in a unified and harmonious manner, gained popularity throughout Europe. The values and ideas of “civilized life indoors” began to follow a set of established principles. Thus began the art of interior design and the development of the window covering industry. 2016 Copyrights Helen's Drapery. All rights reserved.